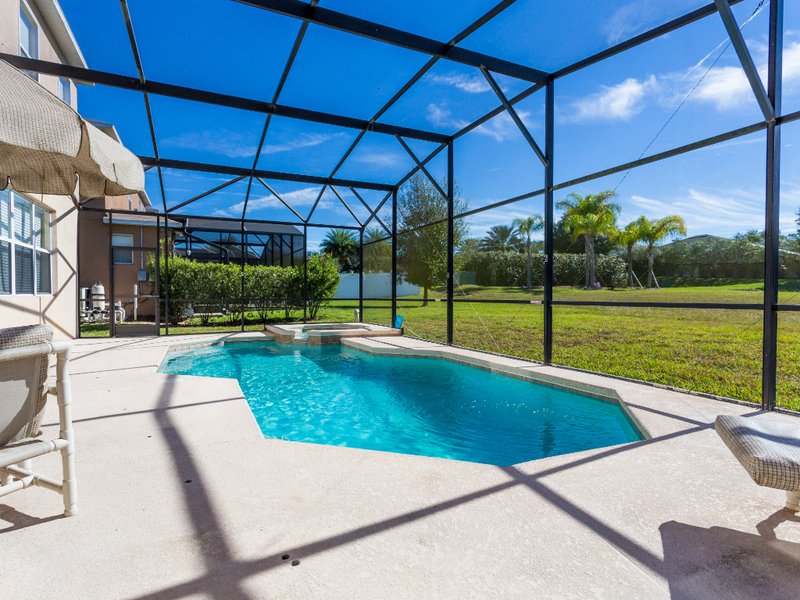 This spacious, 5BR, 4BATH, beautifully furnished home has three separate living areas in which to relax, plus a games room and a wonderful south-facing private pool with spa pool. 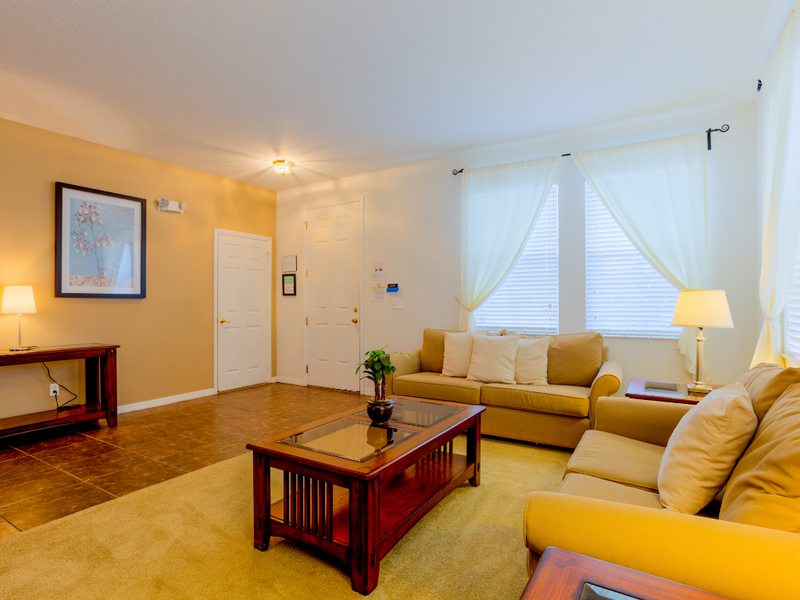 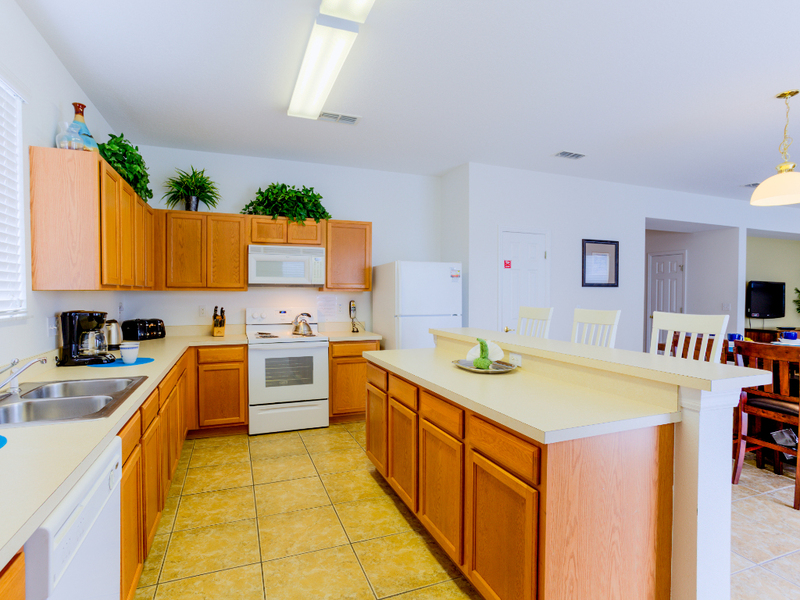 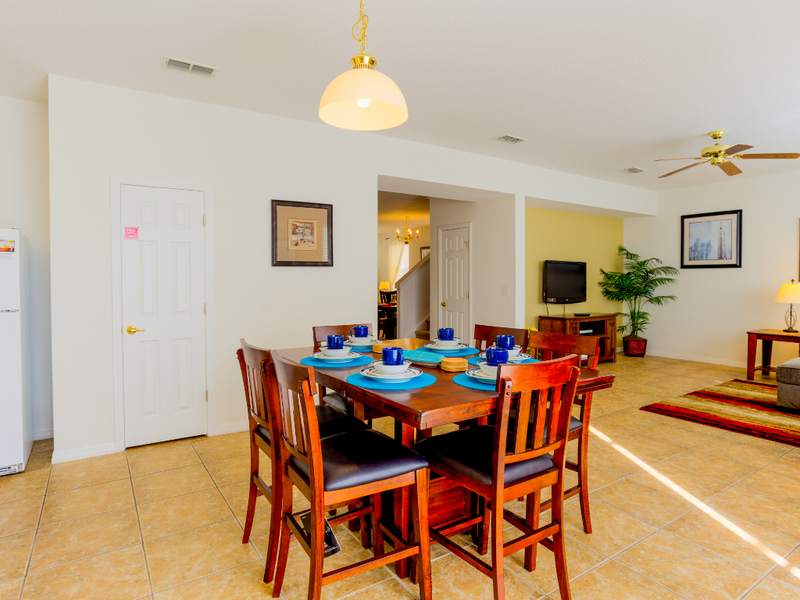 It enjoys a great location just off the I-4 – only 9 miles from Disney. 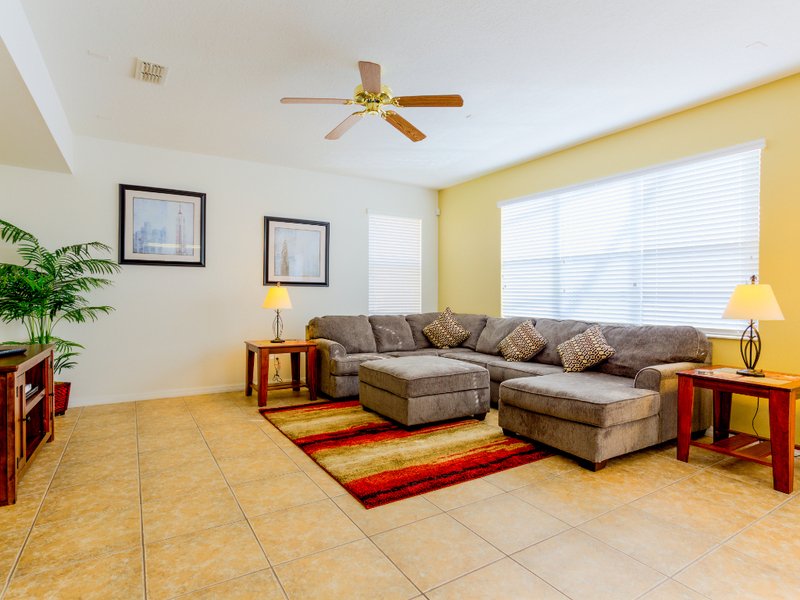 To the rear is the fantastic south-facing pool area, accessed from the main family living area. 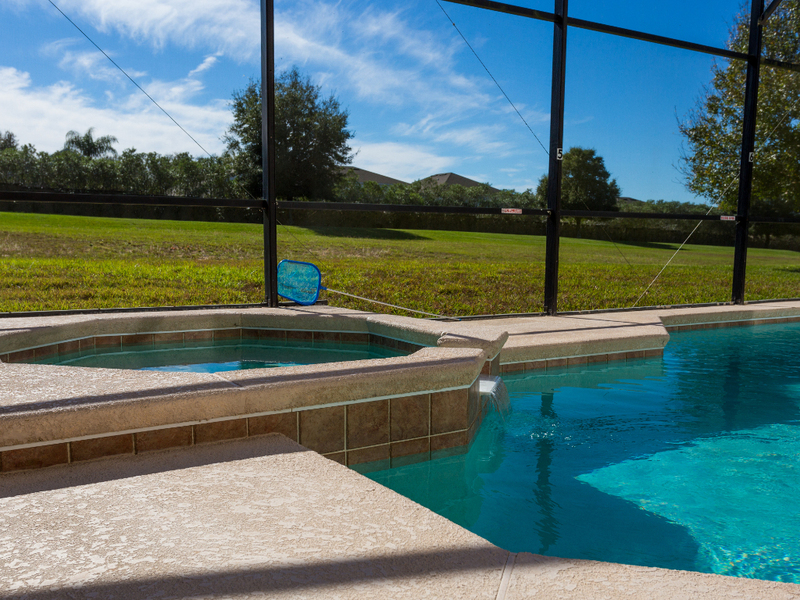 The pool has an integrated spa pool and can be heated for a small additional charge. 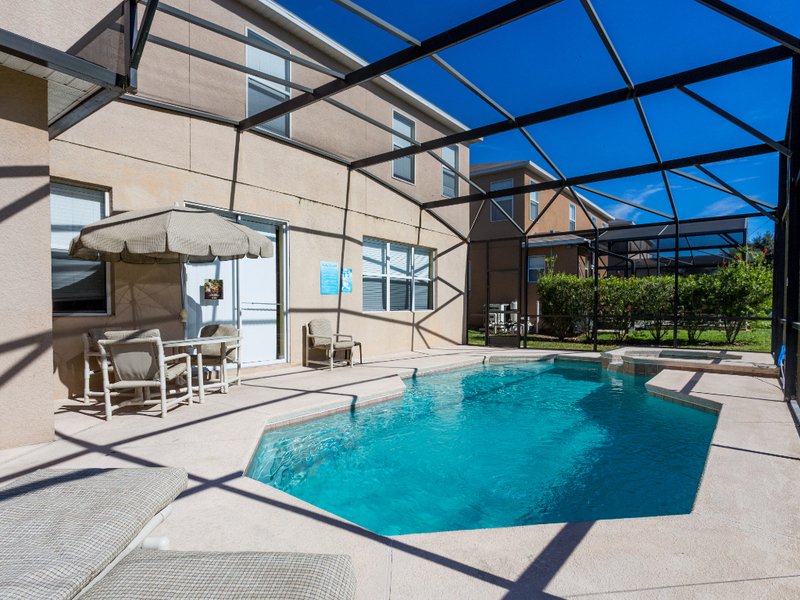 It's a wonderful sun trap and the perfect location to enjoy lots of family time around the pool or perhaps a little al fresco dining. 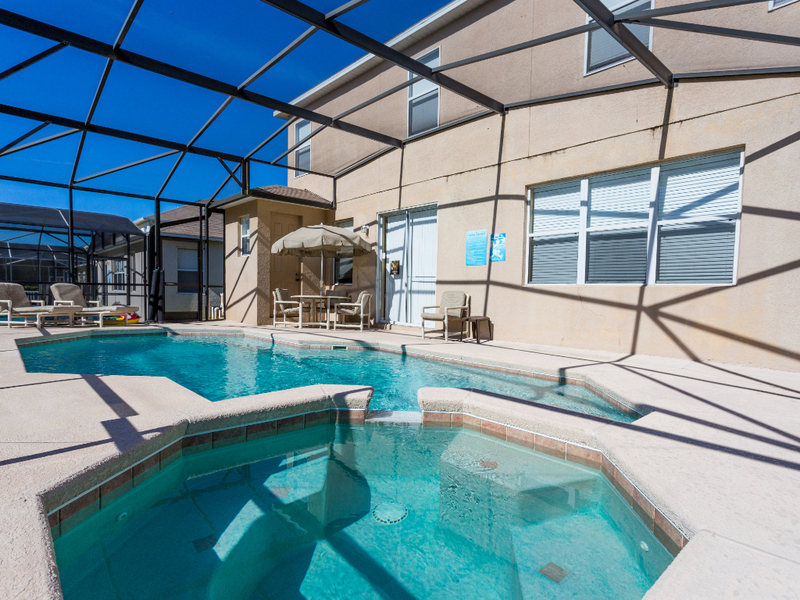 The property is on a great resort with plenty of amenities, including communal pools, club house, restaurant, full events programme, miniature golf, tennis and basketball courts and fantastic transport links to Orlando's main attractions and across Central Florida. 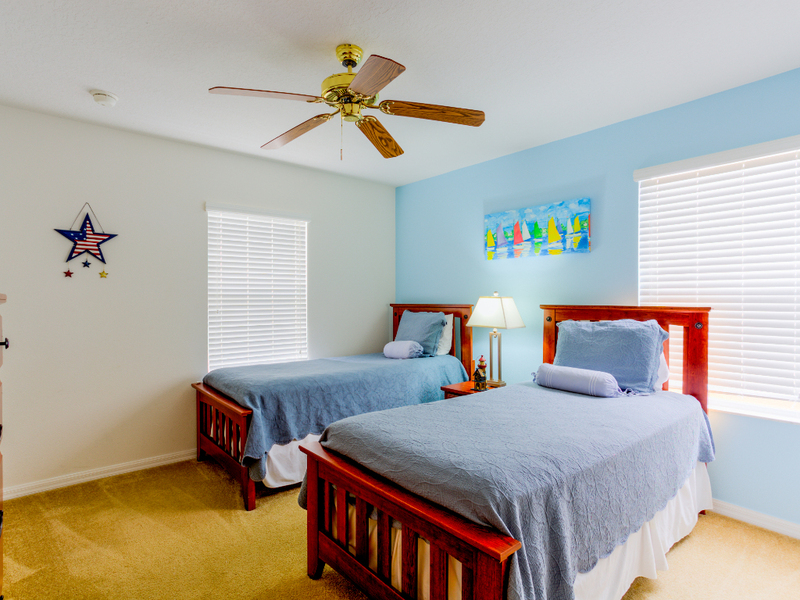 This makes it a fantastic home for large families or groups or simply those who wish to enjoy a little extra space on their vacation. 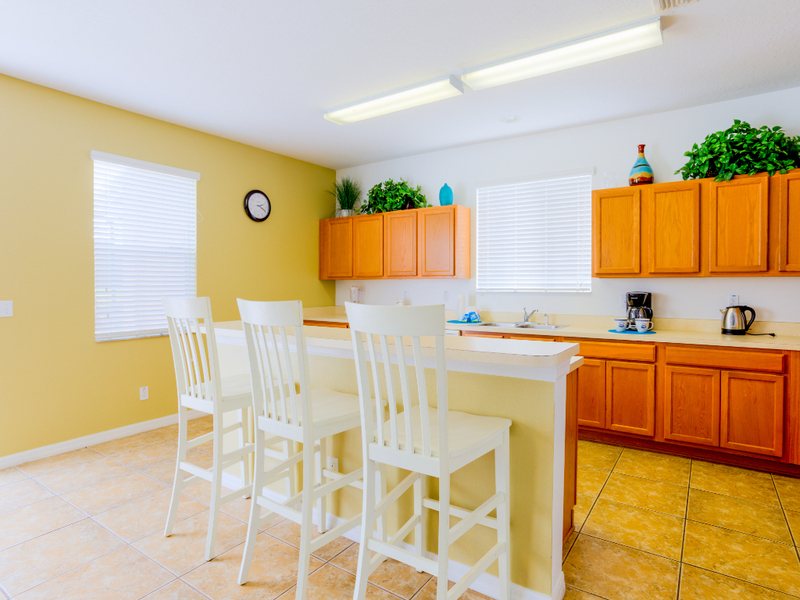 • Open-plan living room/ breakfast nook/ kitchen with a large, well-equipped kitchen. 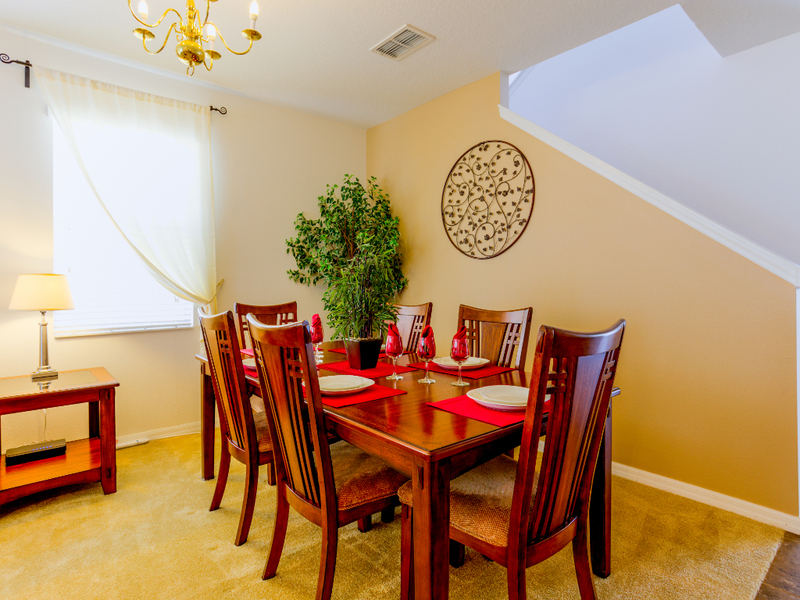 The furniture in this room was upgraded in November 2015 and there is now a breakfast nook seating six in addition to the breakfast bar. 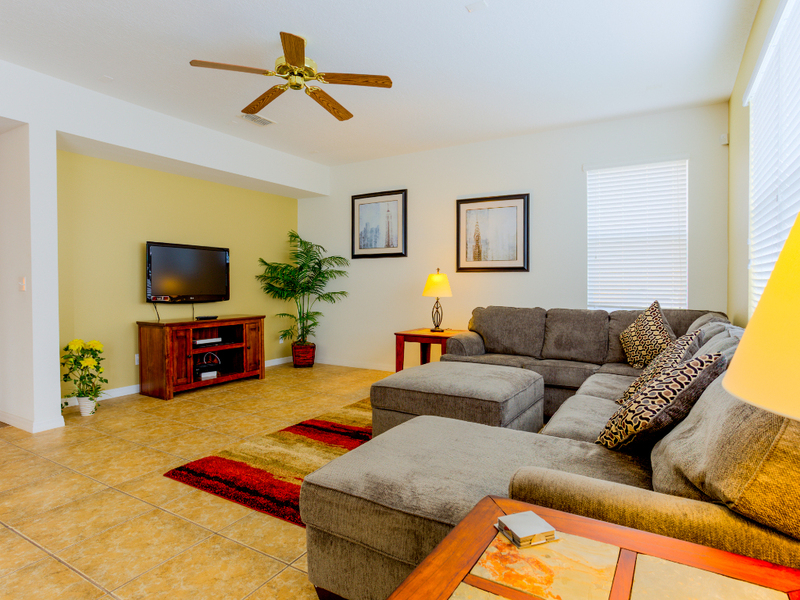 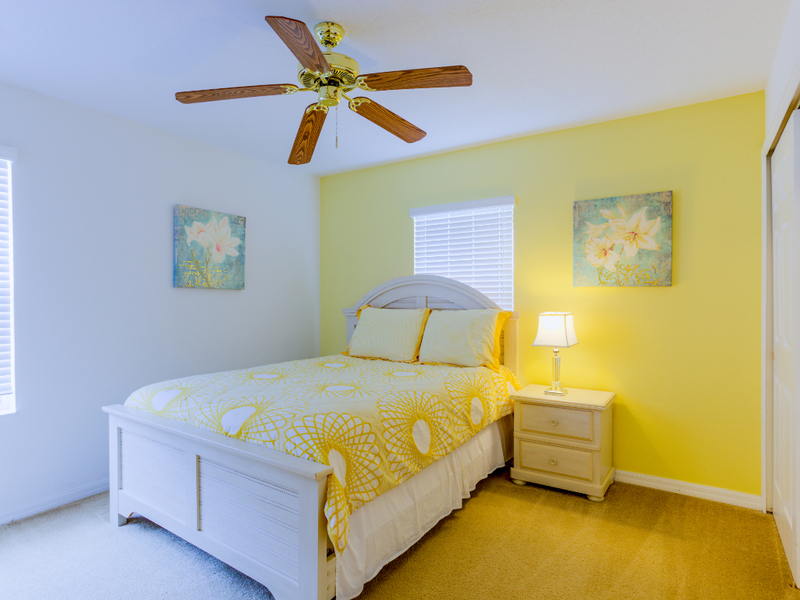 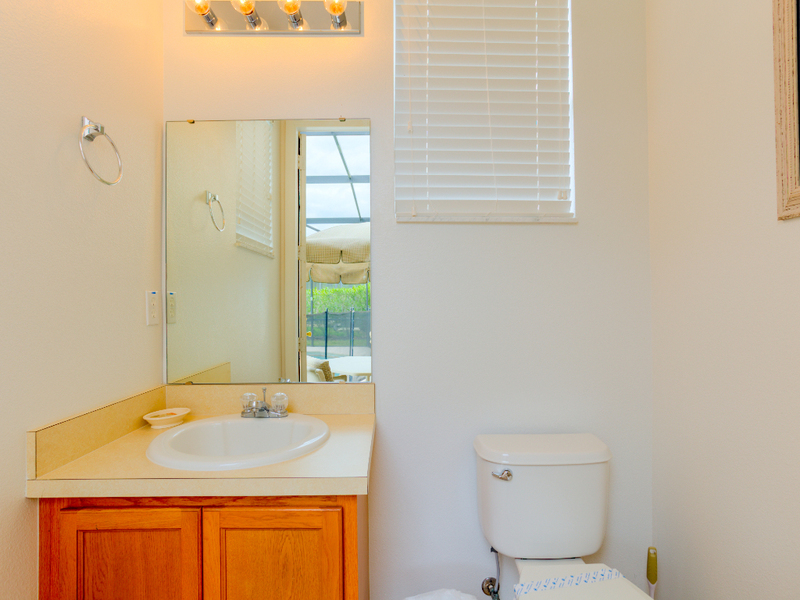 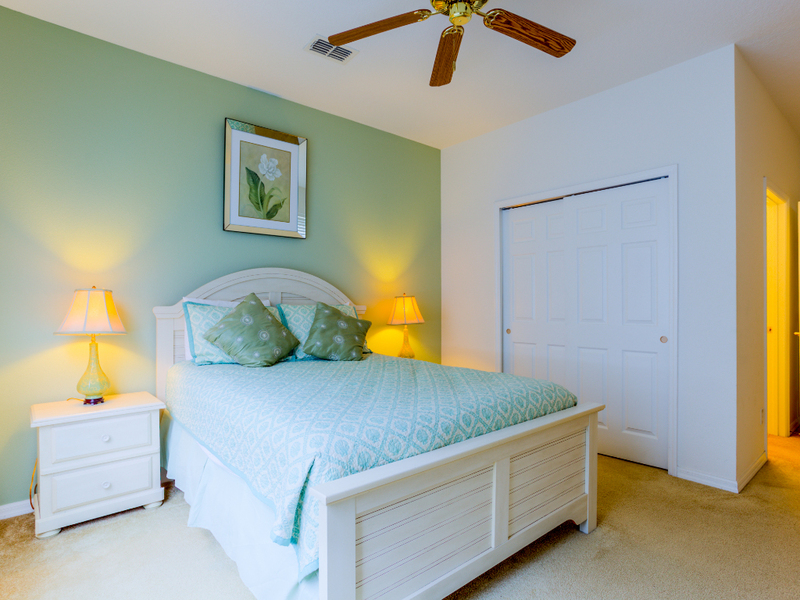 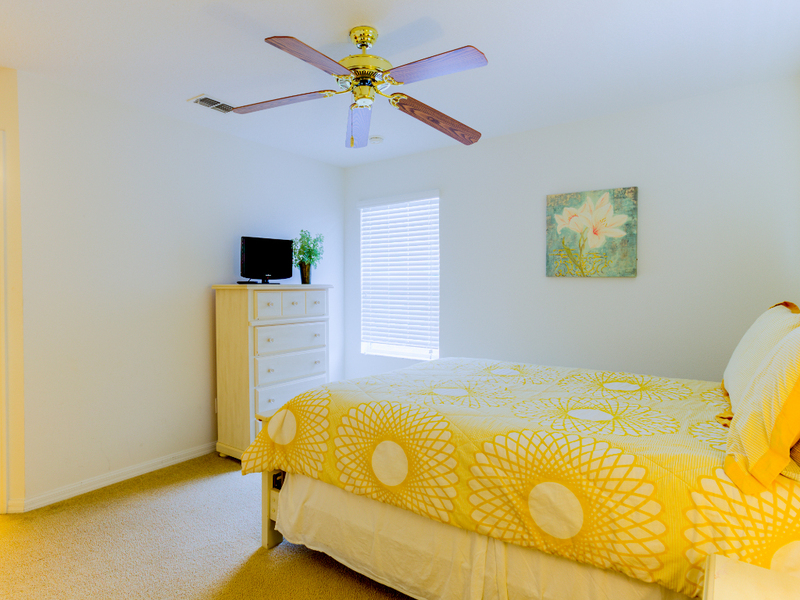 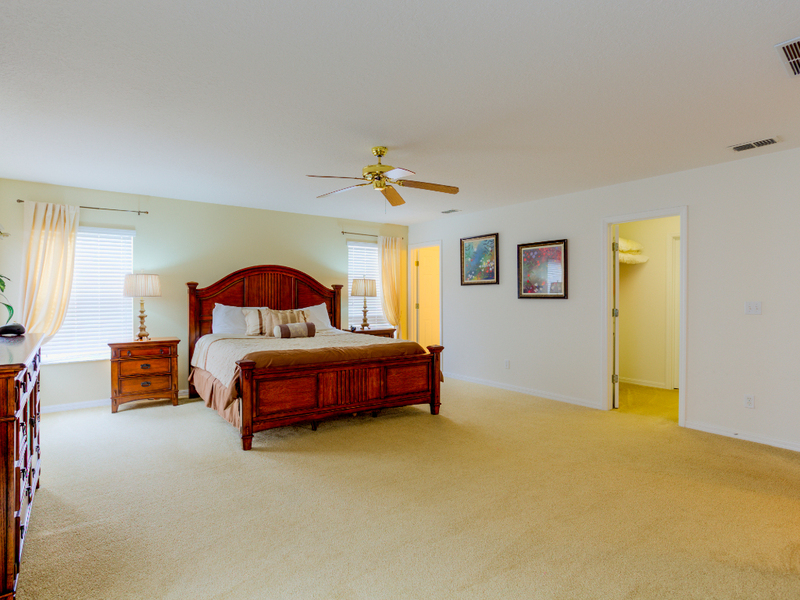 It is a fabulous bright airy room – and the perfect place to start your day in Florida. 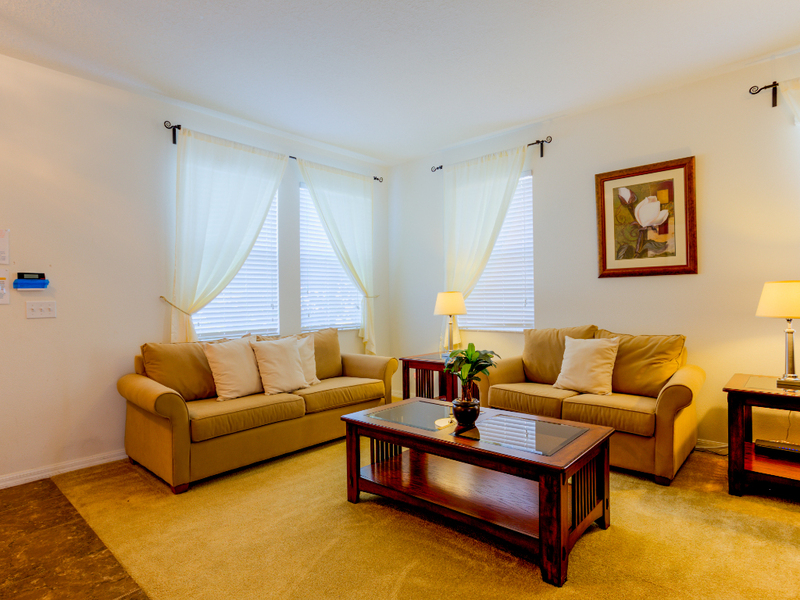 • Formal living room & dining area (seating up to eight people). 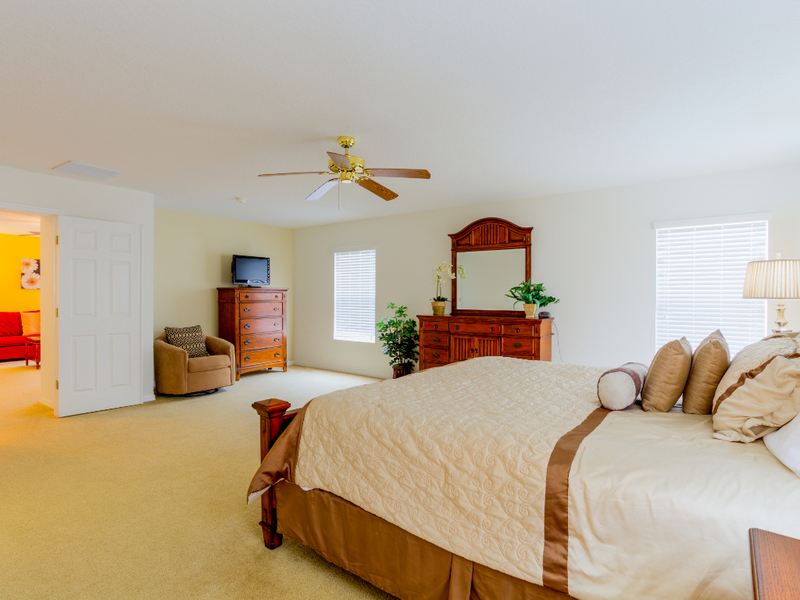 • Master Suite 1 (en-suite) with a queen-size bed, fitted closets, flat-screen TV and en-suite bathroom with a bathtub with shower over. 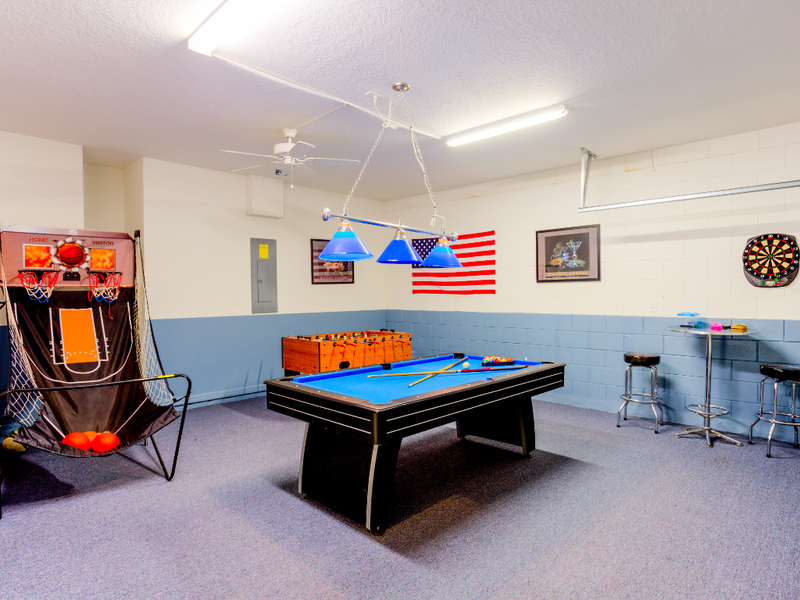 • Games room with a pool table, table football, darts board and a basketball hoop with nets. 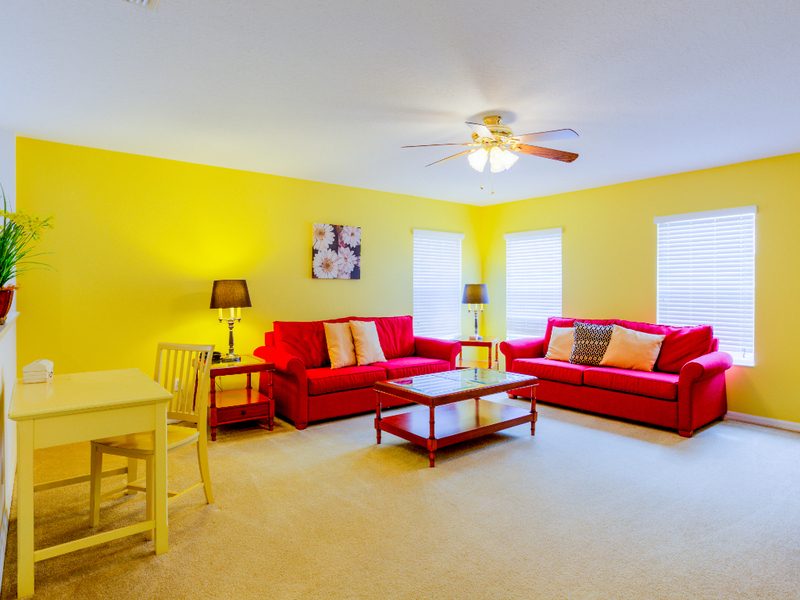 This room is a fabulous extra bonus – great for keeping the whole family amused! 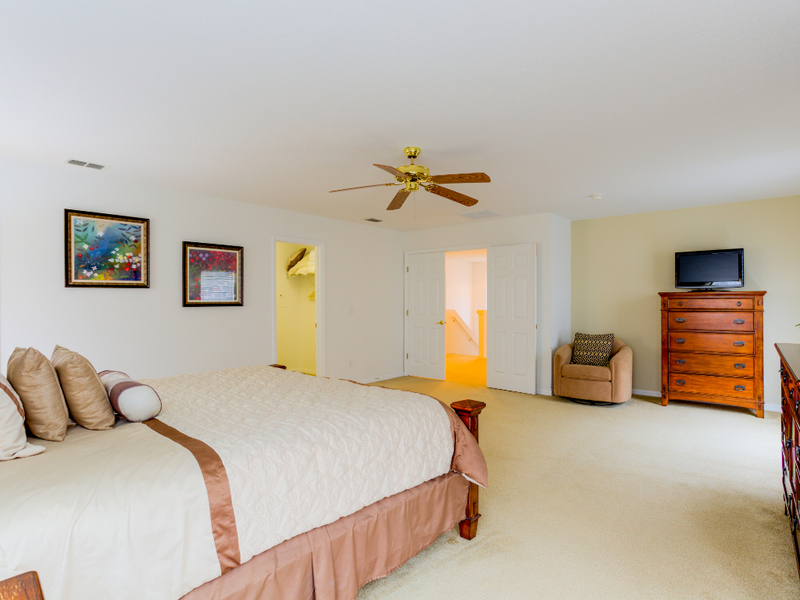 • Master Suite 2 (en-suite) with a king-size bed, walk-in closets, and a large en-suite with a double vanity, generously sized bath and a walk-in shower. 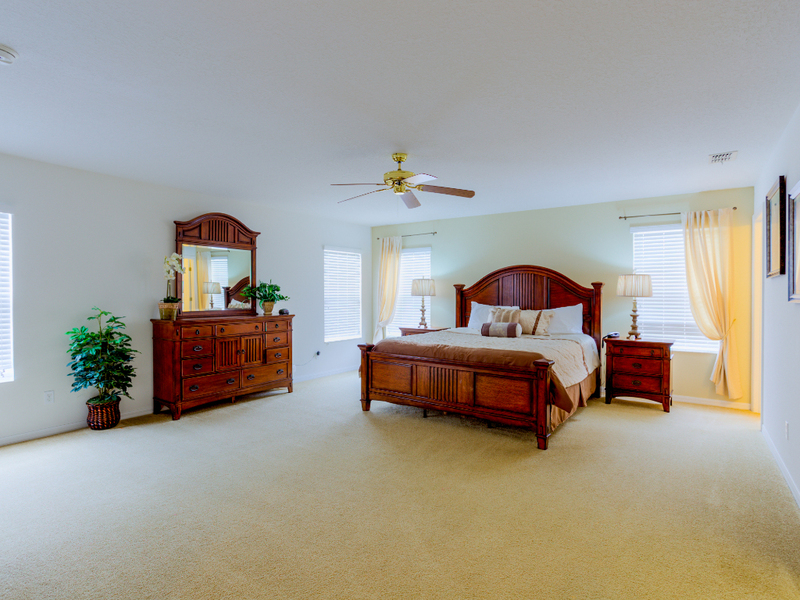 • Master Suite 3 (en-suite) with queen-size bed and en-suite bathroom. 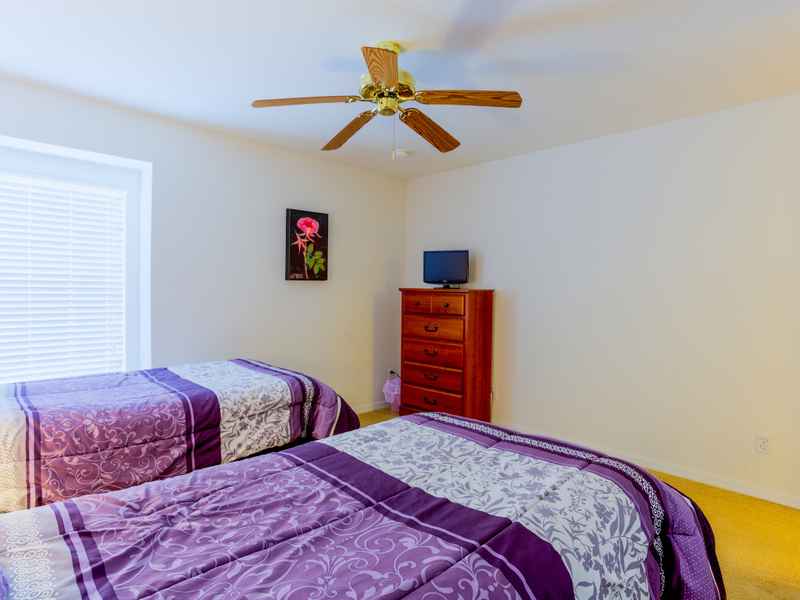 • Twin room 1 with two twin (single) beds and flat-screen TV. 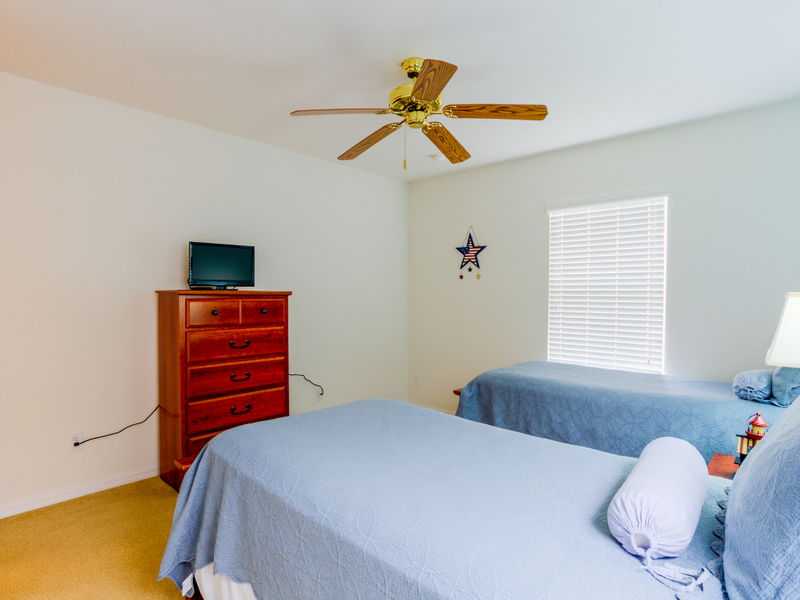 • Twin bedroom 2 with two twin beds and a flat-screen TV. 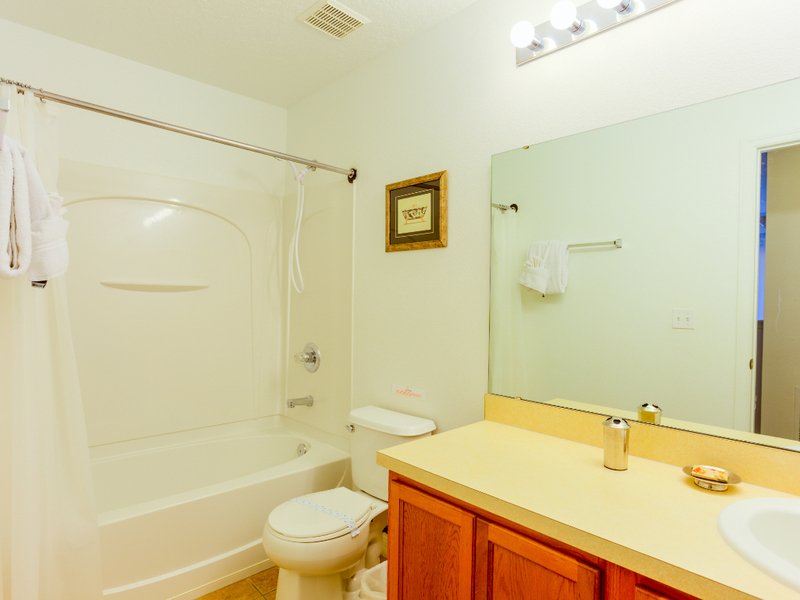 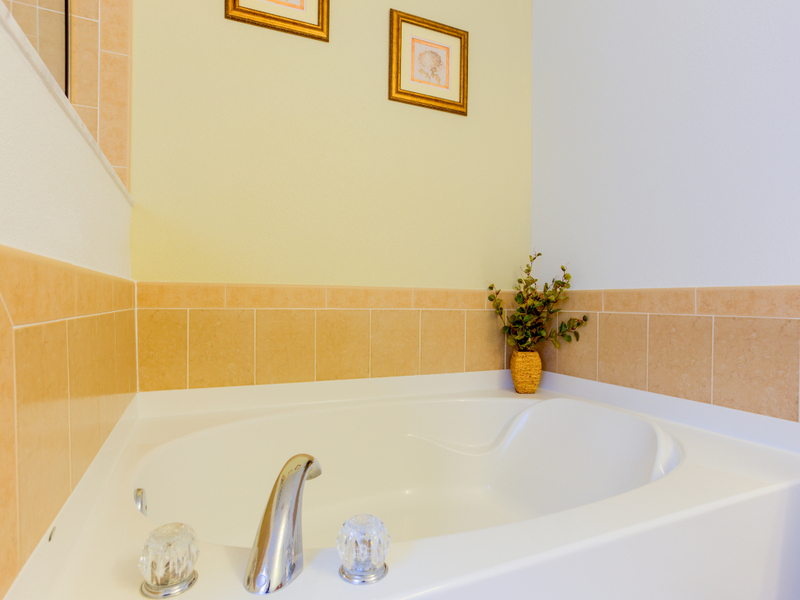 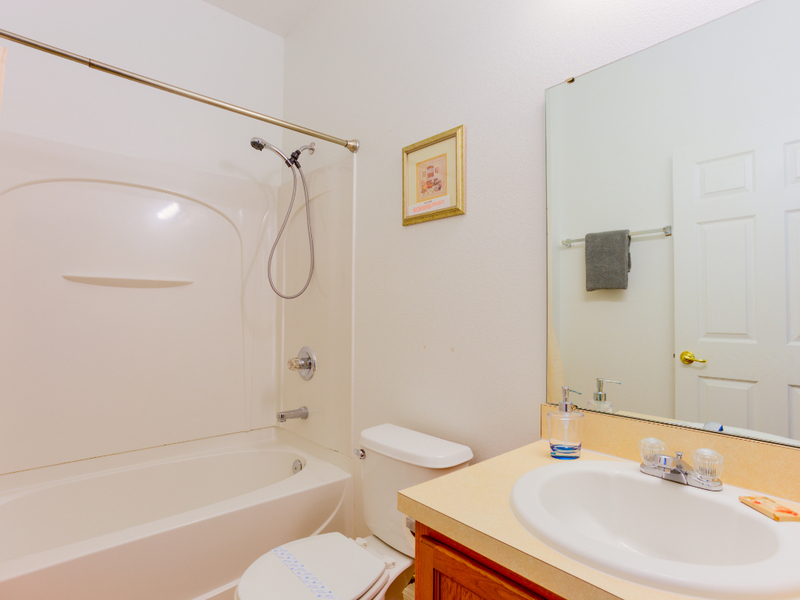 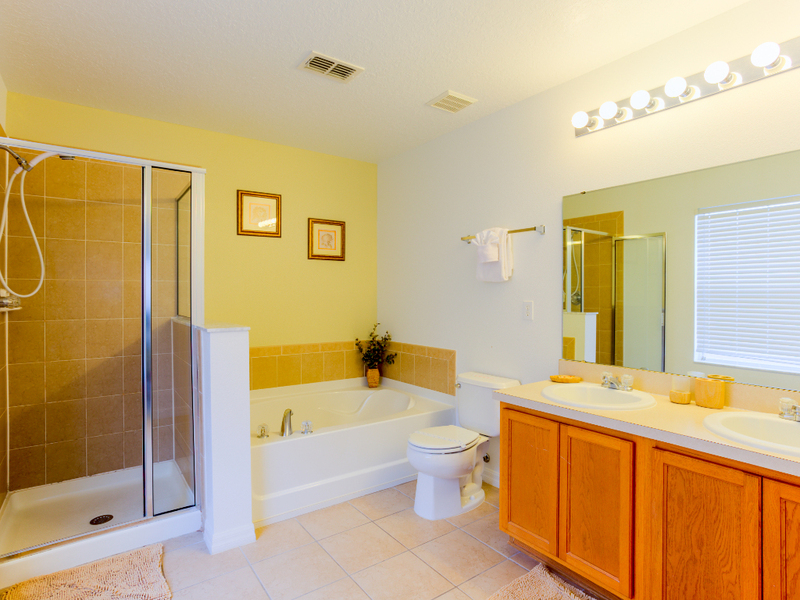 • Family bathroom with a bath with shower over (shared by the two twin bedrooms). 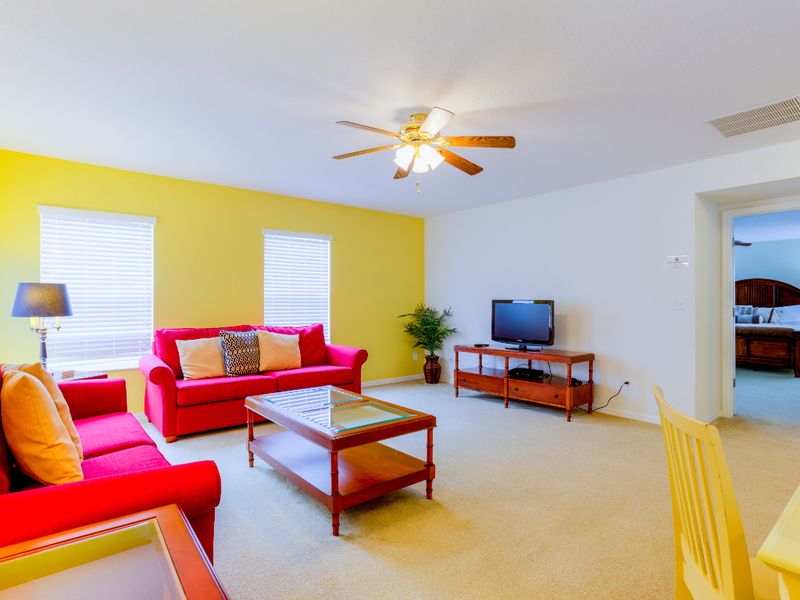 • Additional loft-style entertainment space on upstairs landing with a further pair of comfortable sofas and large flat-screen TV with a DVD player and PlayStation3. 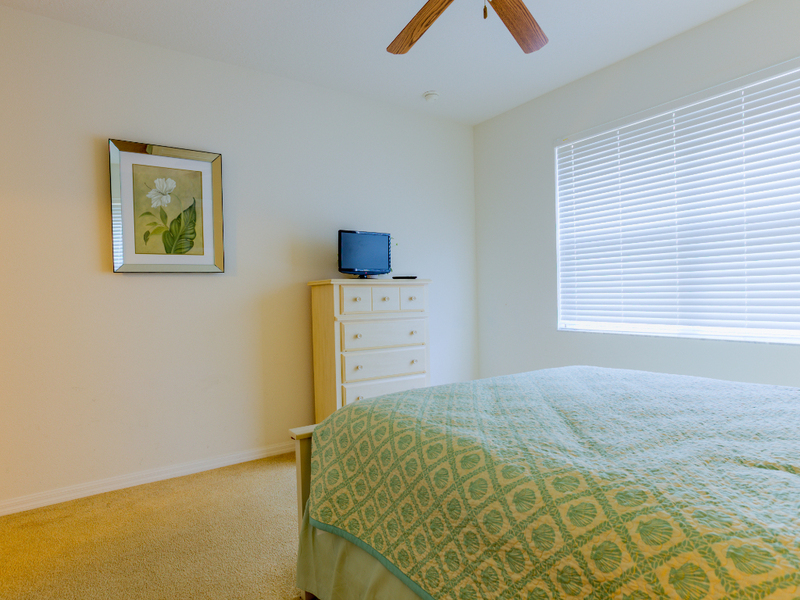 • Laundry room with full laundry facilities. 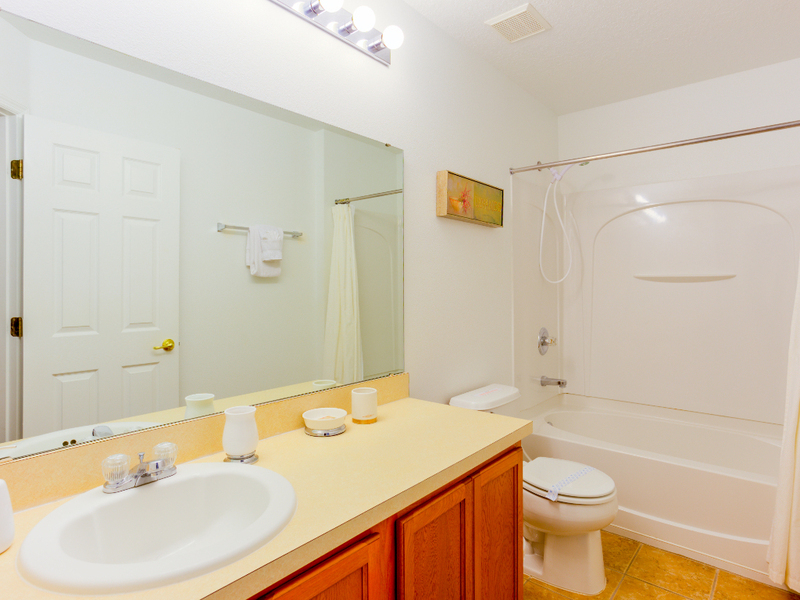 Legacy Park is an attractive family resort on the US 27 Highway, close to the I-4, in a popular Davenport location. 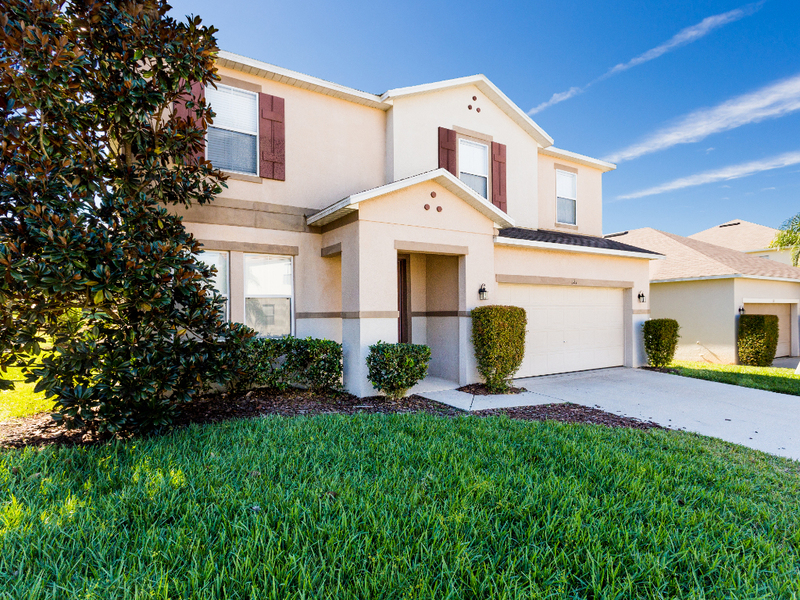 From here, you are a fifteen- to twenty-minute drive from most of the major Orlando attractions, including the Disney theme parks. 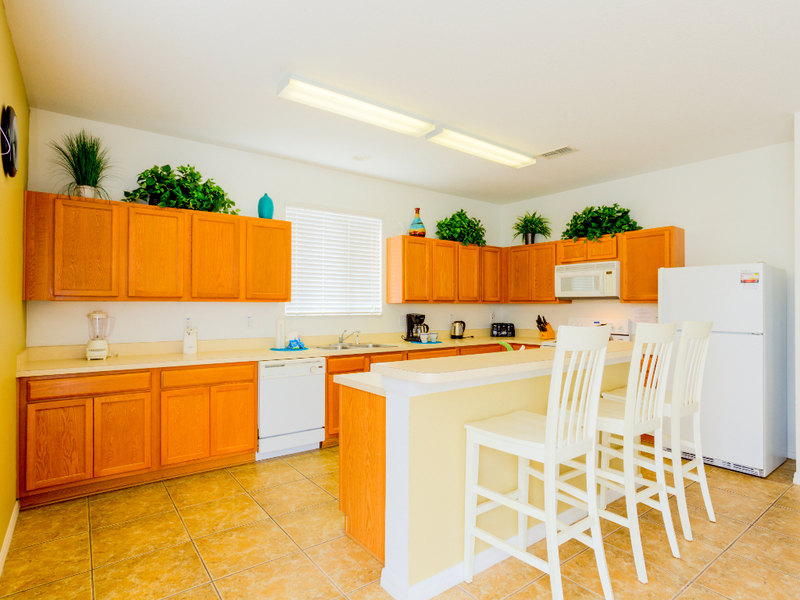 There are several supermarkets and a wide choice of restaurants all within a short drive. 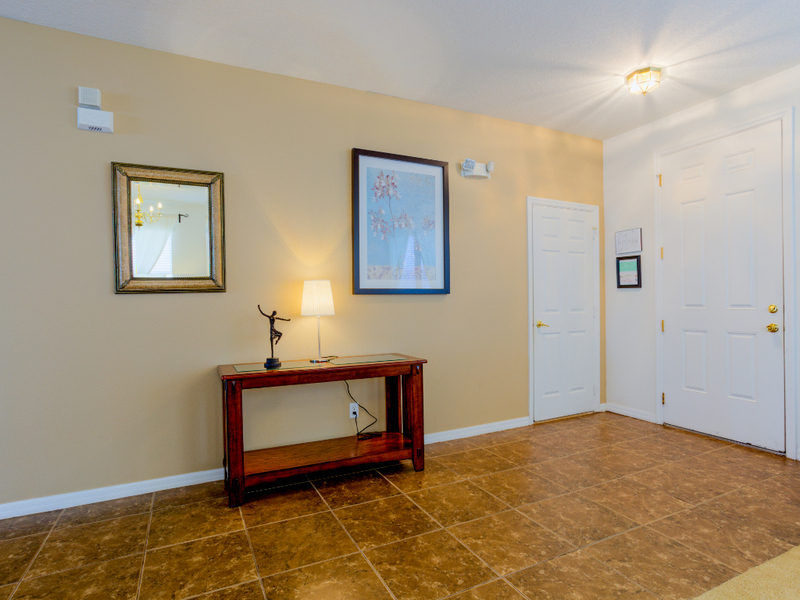 The popular Champions Gate Golf Complex is just 1 mile away. 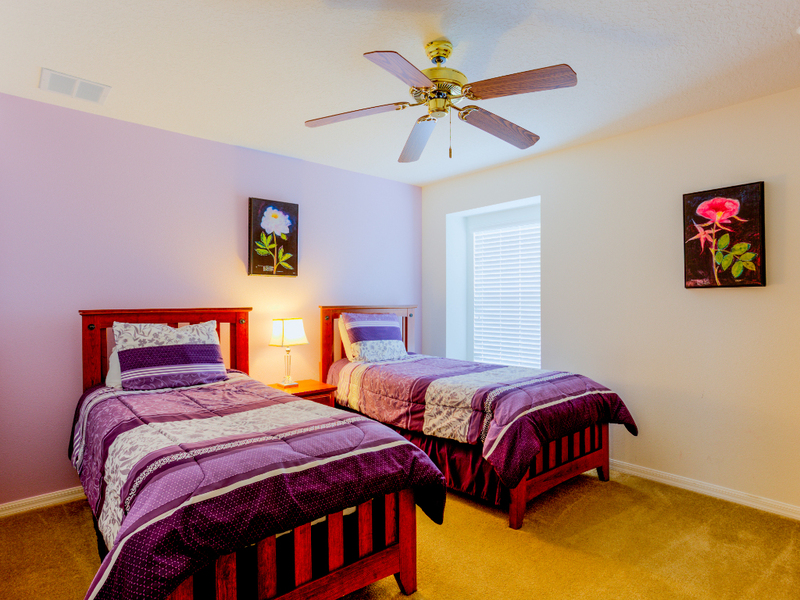 The resort's proximity to the I-4 makes it very easy to explore Central Florida's many other attractions and amusement parks.